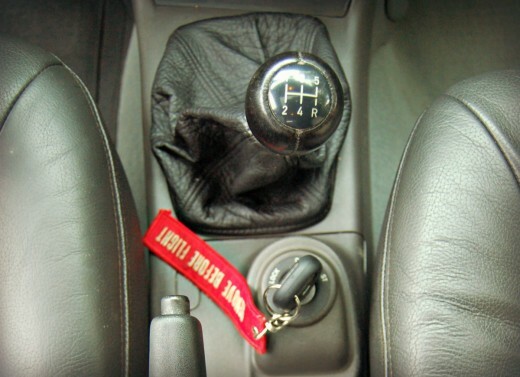 To some people, driving a car with a manual transmission is obnoxious. It is a chore which seems unnecessary and pointless. It is an obsolete input method. It makes driving more cumbersome, and requires way more focused attention than driving an automatic. But despite all of that, I absolutely love driving stick. Yes, even in stop and go traffic. Even with many stoplights in the city. Even when holding a hill without rolling backward. There’s just something about manual transmissions which rung my bell when I was a teenager. I couldn’t have told you then what I liked about them. Now, at least, I can quantify my reason somewhat. It is an example of what I call Engagement Factor. Engagement Factor represents how involved you are in a process, as well as how much you are enjoying it. I have found the more involved I am, the more I can enjoy tasks. I am easily distracted and bored, but engagement thwarts those tendencies. And driving is no exception to this concept. By doing, I am more alert and attentive. Driving stick requires all four limbs to move in synchronized patterns of muscle memory. It may sound like a bunch of work, but it’s wonderful. I get to experience the engine revving more than with automatics. I hear direct feedback with fine changes in pedal positions. I get to decide when the clutch will engage the power from the engine to the transmission. It just feels like I am much more involved in the driving process. All of this makes me wonder how much more we would enjoy certain activities if we decided to be more engaged. Specifically, the topic of work comes to mind. We have all met plenty of people intent on taking shortcuts at work, intent on using the least amount of thought and effort possible each workday. You’re probably thinking of a few specific people right now! Yet those people are the furthest from enjoying the fulfillment of a job well done. It’s quite sad. Imagine how much more better your own work would be if you increased your Engagement Factor. Think about it for 60 seconds and share what you discover. Name one activity with a big Engagement Factor for you. Now name one you do not enjoy. What’s the difference between them?